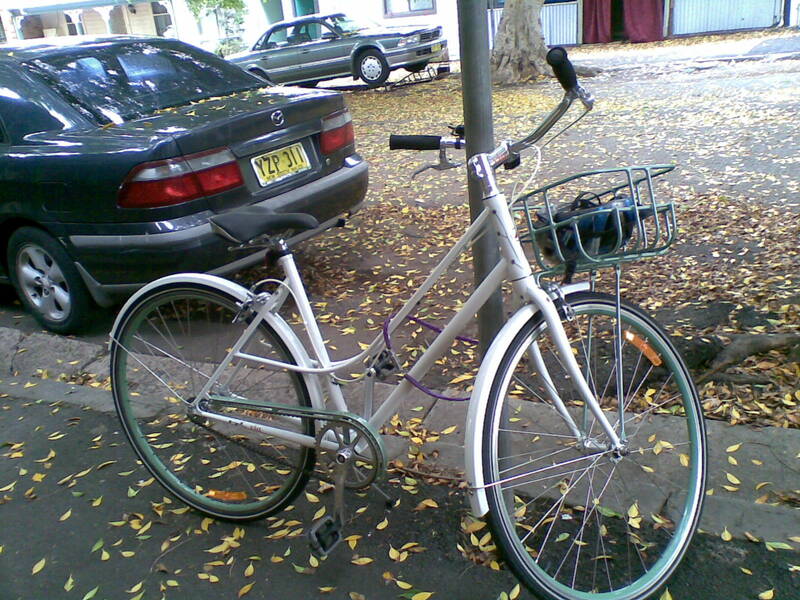 This entry was posted in Newcastle and tagged Darby St, Giant, Giant via, Pista via Brera, Trendy bike, trendy bikes, unusual bikes. Bookmark the permalink. That first bike looks gorgeous! Those chrome fork ends are quite interesting. Thanks for commenting Jules! It was certainly an eye catching bike. 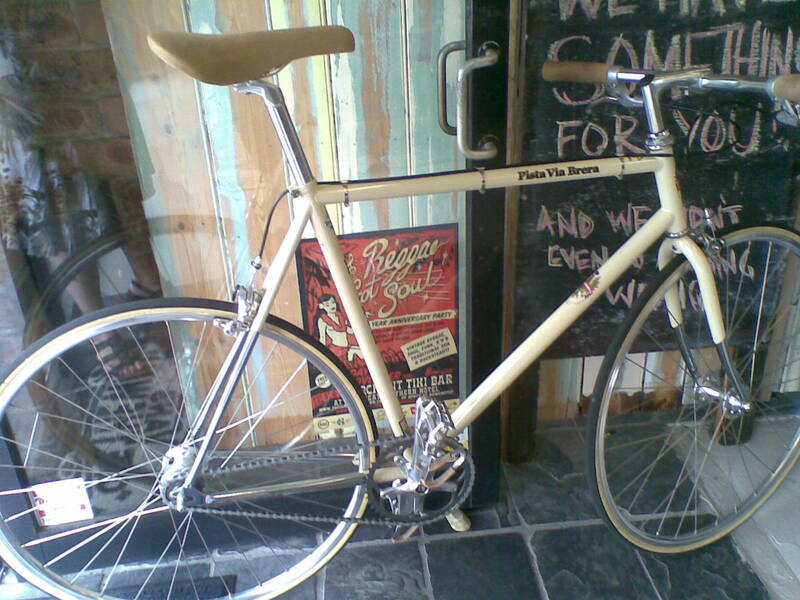 I think the chrome on the forks and on the rear stays is a European thing, I have seen it before on French bikes. Those single speed Giant bikes (below) were going for $250 recently on sale, which seemed a good deal for a basic city commuter. That is a great deal for it Peter, I was very taken with that bike when I saw it, I like both the colour scheme and the front basket/rack. There is another photo of one identical to it on my More Sydney Bikes post, I happened to see two of them in the same week!